Want to offer your girl a "ME TIME" with us? Purchase online one of our e-voucher. Choose among our Spa Packages collection, value or enter your custom amount. 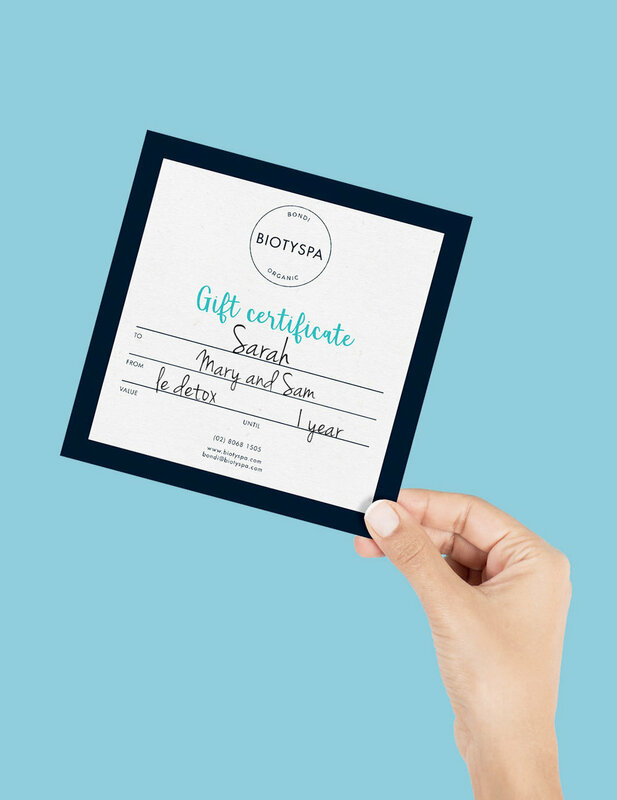 Valid 3 years from date of purchase, redeemable online for treatments done at our Bondi Day Spa. We invite you to read our Spa policy.